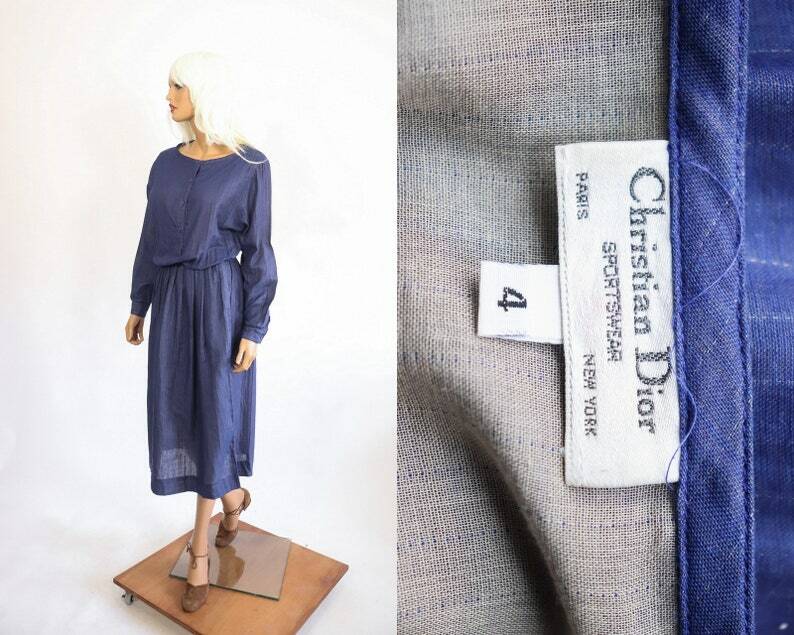 Amazing vintage Christian Dior Dress with Pioneer vibes! Has a really unique construction and fit. Features lined sheer cotton in indigo blue. Subtle pinstripes too. 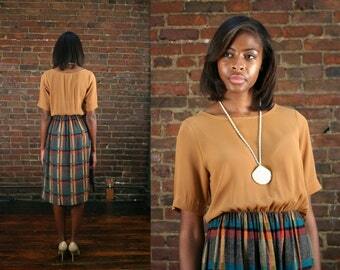 Bloused bodice and elastic waist. There are also pockets. Condition notes: In good vintage condition.